A thorough analysis of public policy and the Clean Water Act'seffect on water quality in the U.S. 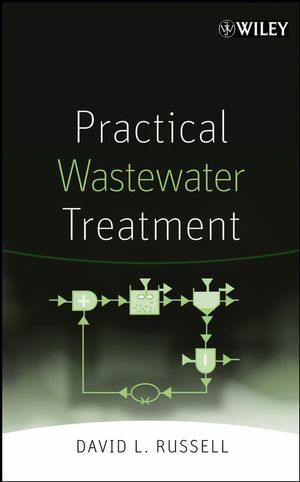 Using long-term trends in dissolved oxygen as the key indicator ofwater quality improvements, this book provides a detailedretrospective analysis of the effectiveness of the water pollutioncontrol policies and regulations of the 1972 Clean Water Act. Thesuccesses of the Act that have been achieved over the past 30 yearsare placed in the historical context of the "Great SanitaryAwakening" of the 19th century and changes in public policies forwater supply and water pollution control that have evolved duringthe 20th century to protect public health and the intrinsic valueof aquatic resources. Case study sites include the ConnecticutRiver, Hudson-Raritan Estuary, Delaware Estuary, Potomac Estuary,Upper Chattahoochee River, Ohio River, Upper Mississippi River, andWillamette River. 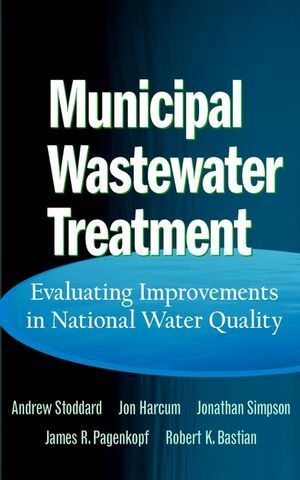 Complete with end-of-chapter summaries and conclusions, MunicipalWastewater Treatment: Evaluating Improvements in National WaterQuality is an essential book for engineers, scientists, regulators,and consultants involved in water quality management and wastewatertreatment, as well as students of environmental engineering,environmental science, and public policy. Andrew Stoddard is a principal environmental engineer at AndrewStoddard & Associates, Hamilton, Virginia. Jon Harcum is a principal engineer at Tetra Tech, Inc., LasCruces, New Mexico. Jonathan Simpson is a senior scientist at Tetra Tech, Inc.,Fairfax, Virginia. James R. Pagenkopf is a vice president at Tetra Tech, Inc.,Fairfax, Virginia. Robert K. Bastian is a senior environmental scientist with theU.S. Environmental Protection Agency, Office of WastewaterManagement, Washington, D.C.
An Examination of BOD Loadings Before and After the CWA. An Examination of "Worst-Case" DO in Waterways Below Point SourcesBefore and After the CWA. Case Study Assessments of Water Quality. James River Estuary Case Study. Upper Chattahoochee River Case Study. Upper Mississippi River Case Study. Appendix A: United States Waterways Identified with WaterPollution Problems Before the 1972 Clean Water Act. Appendix B: National Municipal Wastewater Inventory andInfrastructure, 1940-2016. Appendix C: National Public and Private Sector Investment in WaterPollution Control. Appendix D: Before and After CWA Changes in Tenth PercentileDissolved Oxygen and Ninetieth Percentile BOD5 at the Catalog UnitLevel. Appendix E: Before and After CWA Changes in Tenth PercentileDissolved Oxygen at the RF1 Reach Level. Appendix F: Hydrologic Conditions of the 48 Contiguous States,Summer (July-September) from 1961 through 1995. Appendix G: Municipal and Industrial Wastewater Loads by MajorRiver Basin Before and After the Clean Water Act: 1950, 1973, andca. 1995. Appendix H: Municipal and Industrial Water Withdrawals by MajorRiver Basin: 1940-1995.